The parlor game of guessing whom Donald Trump or his rival Hillary Clinton would pick to lead the Department of Energy isn't easy, given the agency's "strange" mission, tricky politics and lack of tradition, said several sources familiar with the process. Clinton is prepared to give the choice "unprecedented attention" given the threat of climate change, said one informal campaign adviser. Trump, on the other hand, is rumored to be considering a secretary from the oil and gas sector, which has never happened since Congress created the department 40 years ago. Still, when it comes to reading the crystal ball, former DOE officials and energy insiders say the post is an oddball to predict. "There's no obvious tradition," said one Democratic strategist, calling the position a "wild card." 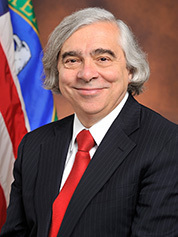 Energy Secretary Ernest Moniz. Photo courtesy of the Department of Energy. When it comes to the Interior Department, presidents have for decades tapped leaders from Western states. Concerning U.S. EPA, Democratic presidents have tended to pick former state regulators. Past EPA administrators — Gina McCarthy, Lisa Jackson, Carol Browner, Doug Costle — all served at state energy and environment departments before taking the federal agency's helm. The same can't be said for DOE. President Obama turned to prominent scientists — physics Nobel laureate and Stanford University professor Steven Chu and Ernest Moniz, a nuclear physicist — to lead the wonky federal behemoth of 13,500 employees and 104,000 contractors. Former President Bill Clinton, on the other hand, used the post to advance diversity, sources said. Clinton tapped the first African-American woman and a former utility executive, Hazel O'Leary, in 1993. He later nominated Federico Peña, the first Hispanic mayor of Denver. Peña led DOE from 1997 to 1998 after serving as Transportation secretary during Clinton's first term. Bill Richardson, also of Hispanic heritage, led DOE between 1998 and 2001. 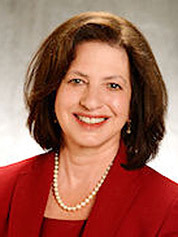 Audrey Zibelman, commissioner of the New York State Public Service Commission. Photo courtesy of New York State Department of Public Service. Other presidents have focused on economic issues. 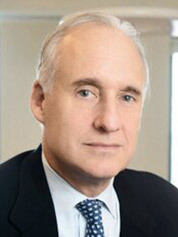 Facing a crippled auto industry, President George W. Bush nominated Spencer Abraham, a former Michigan senator who had previously sponsored legislation to abolish DOE. "It's almost as if each president assigns a different priority," said one former DOE employee. Advocates and observers say the pick hinges on the administration's goals, whether they're boosting renewables and curbing emissions or cutting red tape and doubling down on oil and gas production. "I think that the Clinton administration is going to give this pick more import, more attention, more priority than any other administration ever has," said Roger Ballentine, president of Green Strategies Inc. and an informal adviser to Clinton's campaign on energy and climate. Sources pointed to prominent New York energy regulators pushing through innovative new climate policies, including Audrey Zibelman, commissioner of the New York State Public Service Commission, and Richard Kauffman, Democratic Gov. Andrew Cuomo's "energy czar," as potential picks. New York state's "energy czar," Richard Kauffman. Photo courtesy of @RKauffmanEnergy via Twitter. Other observers say Clinton could ask Moniz to serve into a new administration. "Personally, I would love to see Ernie Moniz stay in that position," said Kateri Callahan, president of the Alliance to Save Energy. "We've had good and strong secretaries of Energy and people that have really done good work, but no one has made the monumental impact in terms of driving efficiency than Ernest Moniz has." She said Moniz has handily advanced efficiency standards in a very bipartisan way, gaining the respect of authorizers and appropriators in both chambers of Congress. "Whoever we get, I hope they're as good as he is. If it is him, the country wins," she said. Despite calls for Moniz to stay, sources interviewed quickly added that Clinton may want to make way for a "fresh face" at DOE. Callahan said she didn't expect any big surprises, noting that Clinton has a number of energy advisers and showed a keen interest in efficiency and clean energy when she served as a senator. Former Michigan Gov. 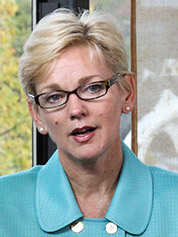 Jennifer Granholm (D). Photo courtesy of Wikipedia. Other names floated included Jennifer Granholm, a senior partner on energy policy in the Clinton campaign and former Democratic governor of Michigan, and former Colorado Gov. Bill Ritter (D), who now directs the Center for the New Energy Economy, which helps policymakers with the transition to cleaner power. There's also the option of Clinton tapping her campaign chairman, policy wonk John Podesta, but sources said that was less likely. In the Trump camp, rumors abound that the billionaire TV personality is eyeing the politically connected Continental Resources Inc. founder Harold Hamm from Oklahoma. If tapped, Hamm would be the first nominee drawn directly from the oil and gas industry. Hamm "would be the most qualified Energy secretary ever. We've never had a secretary who has even actually produced energy," said Mike McKenna, a Republican strategist and president of energy lobbying firm MWR Strategies. "He would have challenges with the nuclear side of the department; it can be pretty bureaucratic." Another source said Tony Clark, an outgoing member of the Federal Energy Regulatory Commission, had also come up in discussions about which Republicans could lead the agency. 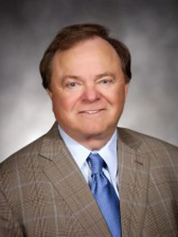 Continental Resources Inc. founder Harold Hamm. Photo courtesy of Continental Resources. Yet adding complexity to the decision is what one source called the department's "strange mission" that goes far beyond energy policy and multibillion-dollar loan guarantees to include nuclear weapons and 107 legacy sites — large enough to cover Rhode Island and Delaware combined — left over from decades of nuclear weapons development and government-sponsored nuclear energy research. "A lot of the people nominated are stunned to find out it's actually the Department of Nuclear Weapons," said Paul Dickman, a former director at DOE's National Nuclear Security Administration. Given that the bulk of DOE's budget goes toward overseeing the nation's nuclear stockpile and managing the largest environmental cleanup program on the planet, some suggested Moniz's unique resume and bipartisan handiwork on the nuclear deal with Iran made him tough to replace. "I think there's never been a more perfect profile for the secretary of Energy than Ernest Moniz," said Sue Tierney, a former DOE official, now a senior adviser for the Analysis Group. "He knows the inside of an organization that's so strange in terms of its mission. I say that only because most people who end up being interested in the energy portfolio forget that it's about the weapons program and environmental cleanup of toxic energy."